For many people, the process of quilt making is a practical exercise, ultimately to provide warmth from the cold. But the creative process can also have spiritual connections and Jodi Eichler-Levine has embarked on an interdisciplinary project that explores how quilting, crafting, creative writing, music, and other generative parts of life are deeply interwoven with Jewish women’s ethnic and religious experiences. As part of a book project, titled Crafting Judaism: American Jewish Women and Creativity, Eichler-Levine is conducting interviews and participant observations nationally with Jewish women. Eichler-Levine, associate professor of religion studies and the Philip and Muriel Berman Chair of Jewish Civilization, began to examine the subjects after discovering a large number of books about quilts and Jewish women while writing her first book, which addressed uses of the past in children’s literature. 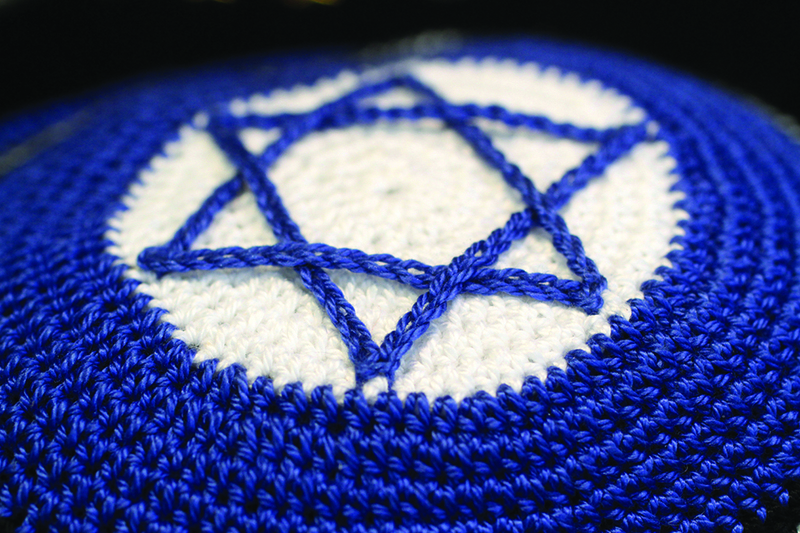 She learned about the Pomegranate Guild of Judaic Needlework, whose mission is to pass needlework traditions to other generations of women and men through the sharing of knowledge and techniques needed to create handcrafted items intended for both Jewish ritual and cultural use. She is also conducting an online survey that has netted hundreds of responses internationally.